- evaluating if inCASA can provide reliable instant video access to a single Contact Desk for patients with anxiety and need for advice. 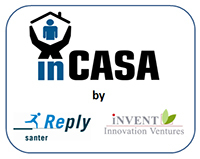 The Lessons Learned from the transferability activities will be used not only to evaluate the inCASA solution but also to develop a toolkit that can be used in future deployment of the inCASA platform and services. Skive will contribute with their own evaluation report which will be analysed and included in a final report The inCASA Transfer Toolkit.